Abu Dhabi Islamic Bank, a leading Islamic finance institution, has been awarded the gold category of the prestigious Sheikh Khalifa Excellence Award. 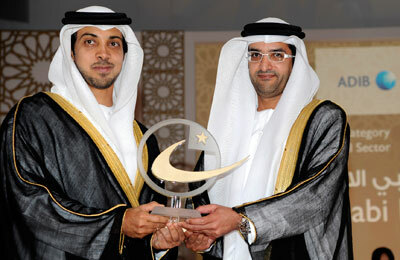 The award was presented by HH Sheikh Mansour Bin Zayed Al Nahyan, the Deputy Prime Minister and Minister of Presidential Affairs of the UAE, at a ceremony held in Emirates Palace. The SKEA award, instituted by the Abu Dhabi Chamber of Commerce, has been designed to recognise the achievements of organisations that demonstrate a world-class standard in their procedures and operations. The award provides an international benchmark of excellence for participating companies.